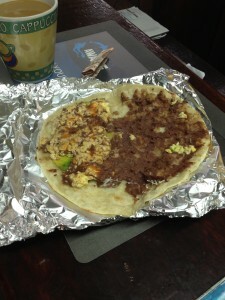 All About: Baleadas | We LOVE Roatan Blog!! ‘All About’ is a new series detailing things found on Roatan and the Bay Islands! If you are not yet acquainted with this Honduran specialty that cures hunger, hangovers, and can be eaten with one hand while you rip around on your scooter… get ready! 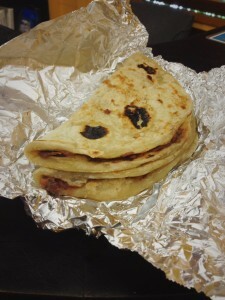 A baleada (bal-ee-ah-dah) is a typical snack found all over Honduras. In Roatan, you can find them at almost every restaurant, as well as little food stands that pop up in the evenings. To make a baleada, first you need to make a fresh flour tortilla. If you get a chance, watch the lady flatten out the piece of dough with her hands. (It looks super easy when she does it, but trust me, I tried it and I ended up with dough everywhere and a weird-looking tortilla in the shape of Africa.) The tortilla goes on the grill to cook and get delicious crispy browned spots. After it’s cooked a little crispy yet still soft and pliable, refried beans are slathered on, some hard white cheese (queso) sprinkled on top and a generous dollop of mantequilla, which is kind of like runny sour cream. Fold it in half like a quesadilla, and BAM! You’ve got a baleada. Normally they get wrapped up in aluminum foil so you can take it on the go, and use the foil as a drip-catcher while you eat. Now, don’t just stop at a baleada sencilla (plain baleada) as I described above. You can pick from all kinds of other toppings, like pollo (shredded chicken), res (beef), aguacate (avocado), huevos (scrambled egg) and more. Most places also have a few kinds of hot sauce and salsa to add into your baleada if you need a little kick. 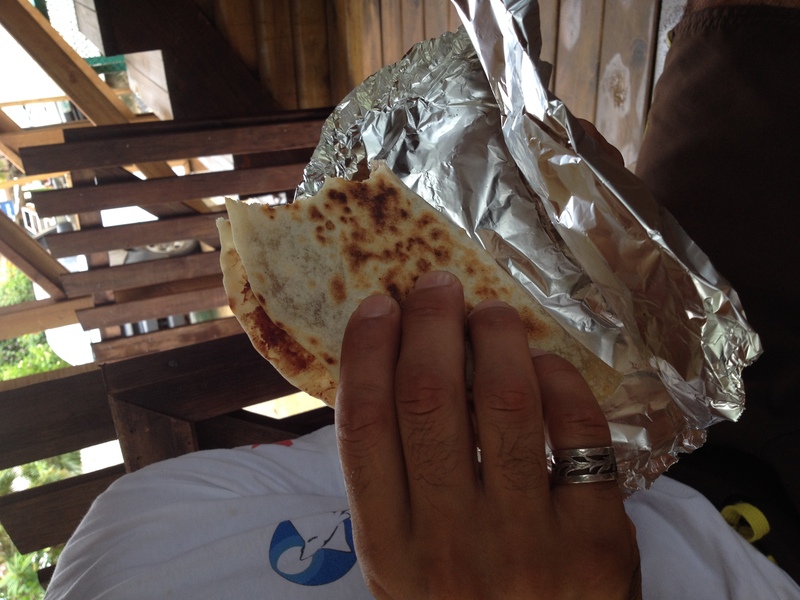 I am convinced that a chicken baleada is the perfect Roatan hangover cure – salty cheese, protein in the chicken and the carbs in the beans and tortilla is the trifecta for success in the morning after a night out on the town. 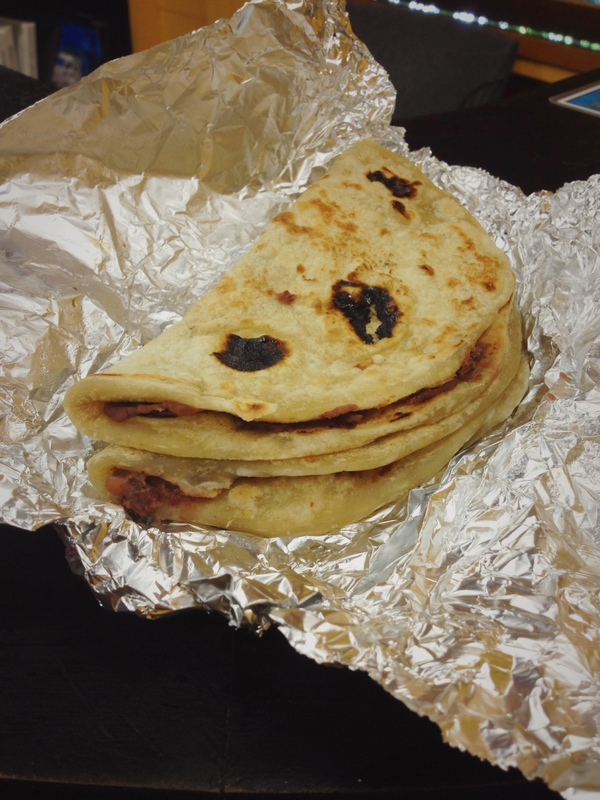 Or, if you plan ahead well enough, make a stop at a baleada stand after you leave the bar and get two: eat one on the rest of your walk home to soak up all that rum, and leave the other in the fridge for breakfast. You will thank yourself in the morning. 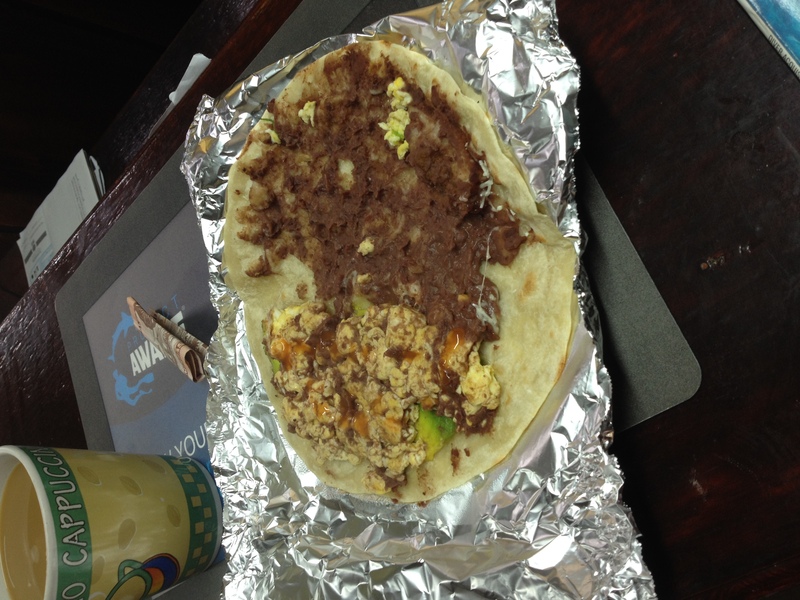 The best part about baleadas is they are quick and cheap as hell. A baleada sencilla from a local place in the Bay Islands should only run you about 20-40 lempira ($1-2) or if you’re on the mainland or in a really rough part of town you can find them as cheap as 5 lempira ($0.25), but you’re better off staying out of those areas and paying the extra 75 cents. A baleada with meat or avocado might run you anywhere up to 80 lempira ($4)… I have never seen one for more than that anywhere! 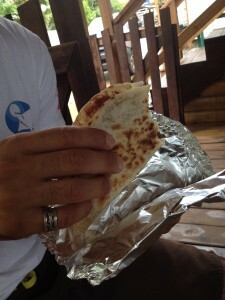 Pingback: Local Food in Roatan | We LOVE Roatan Blog! !